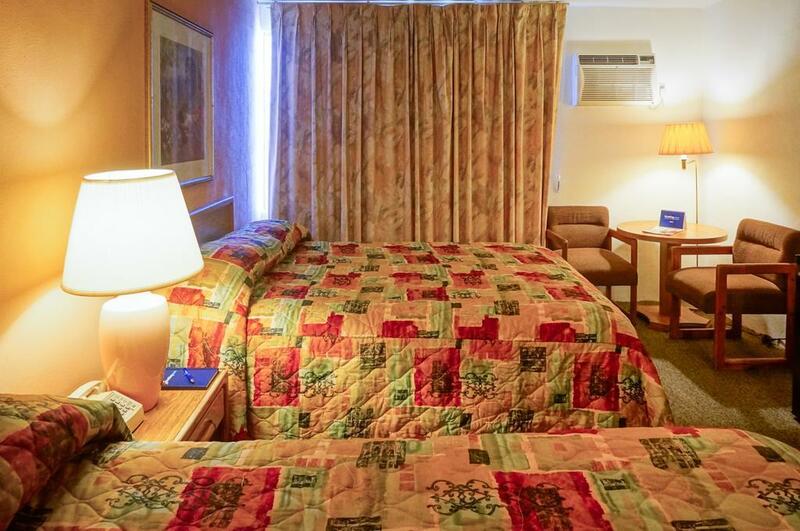 Pros: Friendly staff, clean rooms with comfortable beds and pillows, cool pool, street and hotel parking. Centrally located in a safe neighborhood. 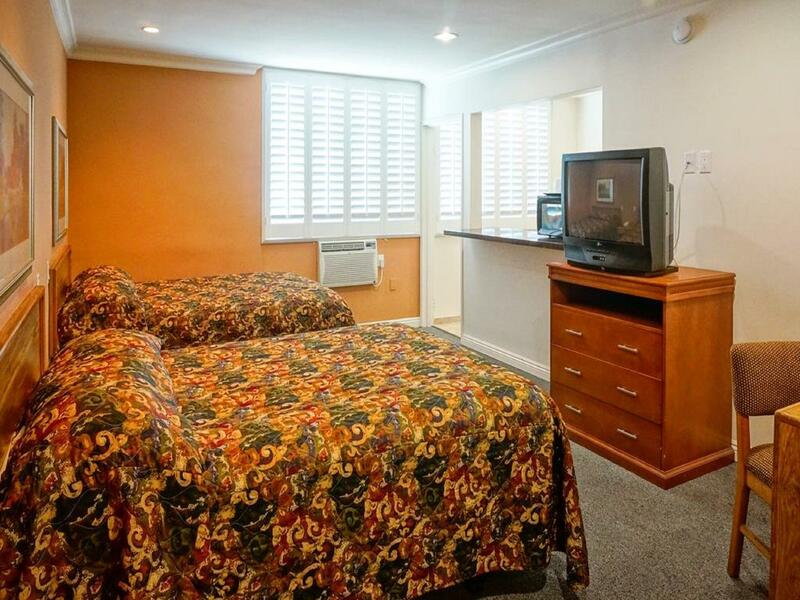 Laundry room, microwaves (near pool) and mini fridge in rooms. Cons: soap provided is very fragrant (bring your own). You can smoke outside the rooms in designated areas so if you have a smoke allergy, this may affect you. Pool is not heated and slippery tile on stairs to enter. Room had a weird stench and decor was very old giving us a very eerie feeling. 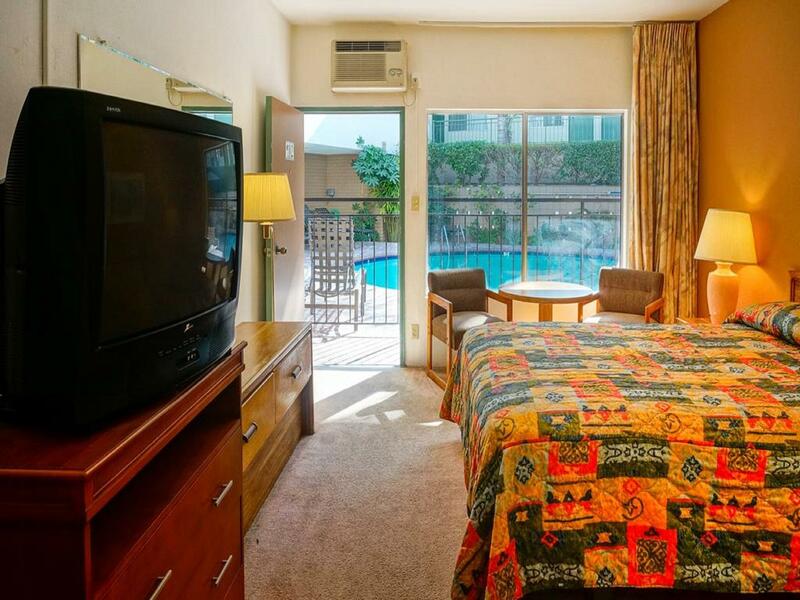 It was close to Koreatown, The Grove mall and all other locations. Old building but quite clean inside. I would recommend to travelers especially with rental cars. 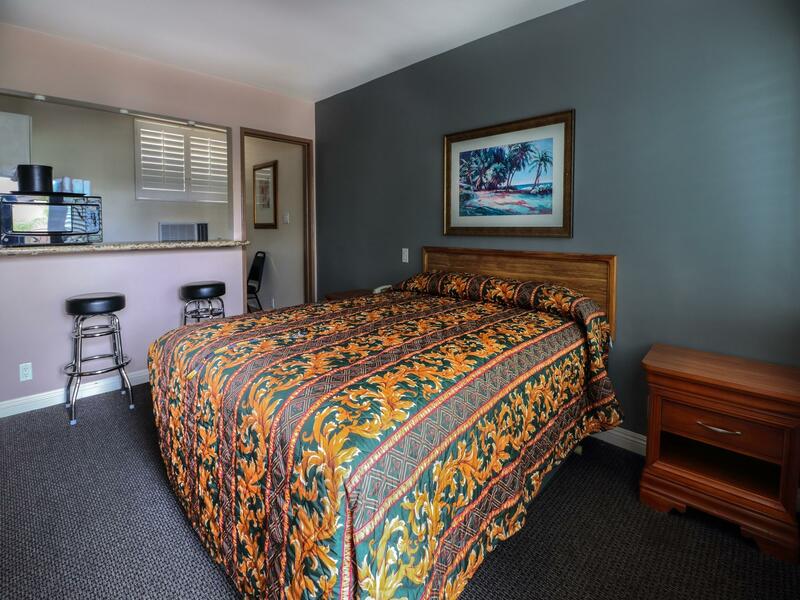 This place is perfect for the LA-area traveler who wants to be in the middle of everything yet in a quiet location. Its at the edge of the Hancock Park/Koreatown area and near some offices & residences. Activity is a walk or quick drive away to Ktown or Miracle Mile. However, after a long day touriung the city, sometimes its nice to go back to a homey quiet place. This place is a great value hotel. Free parking was a huge plus, as most places in the area charge $30/night. The room was dated but the bed was comfortable. The bathroom has been updated. Very clean, would stay again. The room is big. Parking is free. Staffs are nice. Location is good. Little bit hard to find restaurant in early morning. 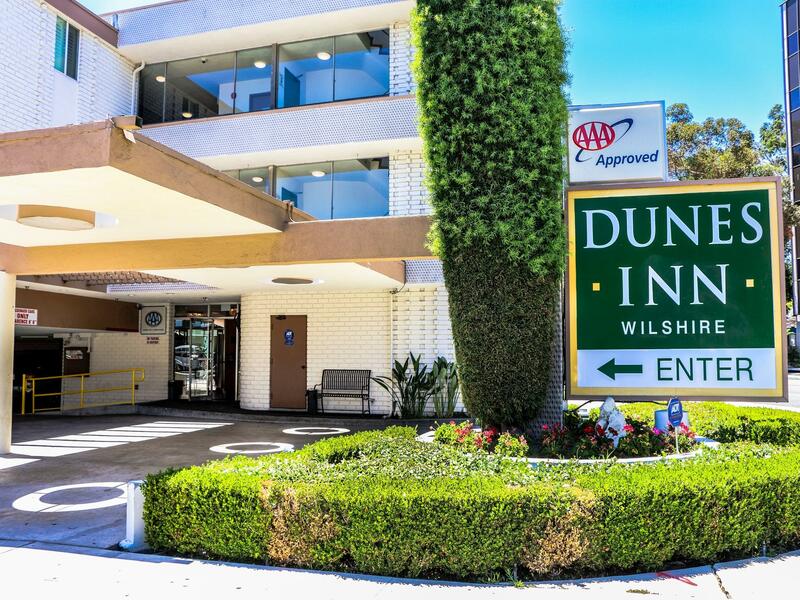 At first we were iffy about staying at Dunes Inn Wilshire after reading reviews on yelp and trip advisor but we found our stay to be pleasant. The rooms were clean, bathroom looked recently renovated. It is perfect for the traveler on a budget. It wasn't in walking distance to anywhere we planned on visiting but it is a good location if you rent a car plus the hotel offers free guest parking. Wir waren 14 Tage mit öffentlichen Verkehrsmitteln unterwegs, und dafür war es perfekt mit der Bushaltestelle direkt vor der Tür. Das Zimmer war sehr gross und wurde jeden Tag gründlich gereinigt. Der Rest des Hotels war leicht angeschmuddelt, der Poolbereich wiederum sauber. Bei den Gästen war alles vertreten, von Geschäftsreisenden über Honeymooner bis zu reichlich dubiosen Gestalten. Die Gegend ist vorallem nachts relativ ruhig und wir (3 Frauen) haben uns auch immer sicher gefühlt. wir würden auf alle Fälle wiederkommen. สถานีรถไฟใต้ดิน Wilshire/Western - ระยะ 1.19 กม.